Nothing seemed to work. Everyone I spoke with said that the decision was made and the case closed. I did tell them that I own a Digital Marketing company and I would start a Digital Marketing campaign to tell my story. Needless to say, that fell on deaf ears. After all of this seemed “over”… I did what I said I would and started a Digital Marketing campaign to get my story out there….truthfully, I didn’t think I would get my money back — but hoped that I would have some influence in changing the policies of the Capital One Fraud Department. Within a week of my campaign, targeted at Capital One Fraud Department (which included a Twitter blast, Facebook marketing, Social Syndication and a custom blog post which I personally did the SEO for) — I received a phone call from a very nice Capital One employee. She asked me to recite my story and we spent over an hour on the phone discussing my case. While dealing with apparently a “higher up” in the Capital One system, we discussed some other issues they had with my fraud case. Being that these issues were brought to light, I was able to explain the situation. Withing 48 hours of speaking with my new contact at Capital One (once again, called me within a week of my Digital Marketing campaign) they put the money back in my account. Everyone had all but given up on Capital One stepping up, listening to my story and doing the right thing. Due to the power of Digital Marketing… they did. Ever wondered how Capital One would handle your fraud case if your debit card gets stolen? 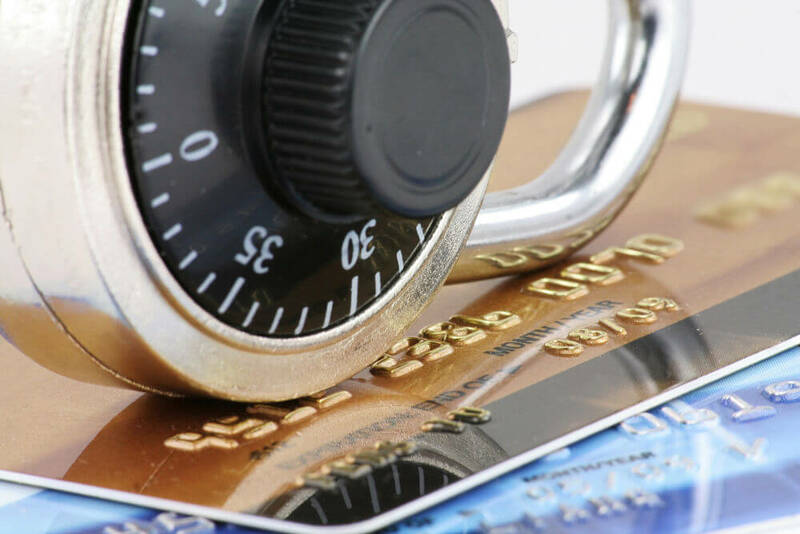 Most people think that the Capital One Fraud Department will catch the theft…that is not always the case. Read a true story of the Capital One Fraud Department. We hope this never happens to you. As a general rule, I do not write about my personal life. The majority of the information on this site is referencing SEO and Digital Marketing. I had such a horrendous experience with Capital One’s Fraud Department recently, I felt I had no other option but to tell my story in the hopes the fraud department at Capital One Bank will take notice and adjust their policy. I personally had the misfortune of having my wallet and cell phone stolen from me some time back. Needless to say, this is never fun, especially if you then notice thousands of dollars in charges soon to appear on your Capital One online bank statement. Luckily, I did not experience any identity theft, but what soon happened was almost as bad. Upon noticing the unauthorized charges on my Capital One Business account, I called to report the debit card stolen. This was on a Sunday and although I searched the internet, I could not find a number or online process for reporting my card stolen. Although phone numbers existed, when I called, a recording requested that I call back during regular business hours. After an hour or so, I gave up and decided to report the card stolen the following day. Upon reporting my debit card stolen to the fraud department, they immediately deactivated the card. This didn’t do me much good since the thief involved had already not only maxed out the card, but incurred some overdraft charges. Charges were incurred not only at multiple ATM machines but at mulitple Wal Mart stores; all between the hours of 3:00 AM until 6:30 AM. The Capital One fraud department then asked that I let them know all of the charges that appear to be from the theft. I did my best to identify the fraudulent transactions, but since many of the charges were not fully processed, they did not have the full information on the entity requesting payment. Nonetheless, they took my information and said that I would have my funds (and overdraft charges) returned to my business account. Within a few days, I was happy to see that they credited my account with the appropriate dollar amount. Since this business operating account has many automatic charges pulled from it all month long, I was very pleased to have all of the funds returned to my account. At this point, I was quite pleased with the way the Fraud Department at Capital One handled my situation. I had spent a few years in the retail industry some 25 years ago and I remembered when fraud cases would be reported, we needed to review cameras and pull all original receipts. I was happy to see they were refunding my money prior to going through that process. What happened next was the unbelievable part. It is worth noting that I was in possession of another card, from another bank that did not incur any fraudulent charges. Although the thief attempted to use the card, the OTHER bank immediately shut the card off due to irregular looking charges. About three weeks prior to Christmas in 2016, I notice thousands of dollars missing from my Capital One operating account. Upon seeing the missing funds, I immediately call Capital One Customer Service only to be told they have reviewed my fraud claim and without any notice unilaterally removed not only the stolen funds…but reinstated their exaggerated overdraft fees! After spending over an hour speaking with a multitude of Capital One Customer Service agents, they connected me to the Capital One Fraud Department which went on to explain to me that they had taken back the refunded charges. Without asking me for any additional information that may be helpful they solely had come to the conclusion that what had taken place was not theft they were responsible for. I went on to explain that another card that was stolen had been immediately shut down upon the strange activity, why was my Capital One card not dealt with in a similar way? 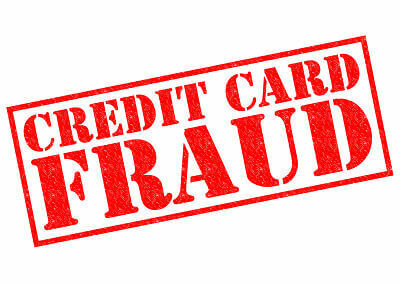 They went on to say I was denied my fraud claim because they had reviewed camera footage in which a “red car” was seen two days prior, on their security cameras, removing funds from a Capital One ATM. They went on to say that it was the same “red car” that was seen removing funds after the theft occurred. I became quite angry. Not only do I not own a “red car” but nor does anyone that I can think of. I then insisted that was impossible — that the same “red car” was seen accessing an ATM, using my card days before. I demanded that they send me these incriminating photos. The fraud department said it would take 48 hours to have the photos of the mysterious “red car” delivered to a local Capital One branch. I waited my two days to visit the local branch. At this point, the thousands of dollars in deductions Capital One had taken from my account, three weeks before Christmas (by the way — I have six children) was infuriating me. As a ten year customer, I was happy to incur the banking charges to my multiple business accounts, because I felt secure using a large, nation-wide bank. I knew that I could save some money with another bank, but it was worth it to me. I was one of those customers that walked in the local branch and knew most of the employees by name. When I finally went into the bank and requested to look at the photos and any other documentation they may have sent, I was treated very well. I can not find anything negative to say about any of the individuals that I have encountered at the local branches. The banking representative pulled up the photos in an e-mail. We looked at the pictures and although the photos of the car removing the funds after the car was stolen were quite clear…the picture showing me (two days before) in the same car was from very far away. Upon looking at the time stamps of the pics compared to the time my withdraw was made, we both agreed that the photo was taken 41 seconds after my withdrawal. We both agreed that at any time, that particular branch (the one we were sitting at and the photo taken from) has a line at the ATM. Especially at 3:42 PM! Neither of us could make out the make/model of the “red car” that was seen at the ATM days before my fraud either. I felt much better. Upon being able to review the “evidence” it was abundantly obvious that there was little reason to not return my funds. The banker I was working with then instant messaged the fraud department only to be told that the case was FINAL. He was also told that he could not provide me with the photos as I was previously told, but could only look at them on his computer. I could not believe what I was witnessing. The fraud department had said, unless I had additional information to submit on my case…the decision was final. Over the next few days, I made multiple phone calls to the Capital One Fraud Department as I simply could not believe this was the end of the road. Any disinterested third party that were to look at my case would come to the same conclusion…my card was stolen and Capital One’s Fraud Prevention not only did nothing to stop the charges from being incurred, but had no evidence to not make good on their fraud protection claims. To add insult to injury…they even went on to charge me hundreds of dollars in overdraft fees! So What Is In My Wallet Now? Not a Capital One Card! Needless to say, I closed both of my business accounts with Capital One as well as my personal account. I am now happy to have absolutely free checking (unlike paying a monthly charge with Capital One) with the same bank that STOPPED any fraudulent charges from happening in the first place. Which I personally consider proof that Capital One’s Fraud Detection should have stopped the charges in the first place. Have You Had a Problem With Capital One? If so — tell us about it below!